Comic-Con 2014: ‘Star Wars Rebels’ Panel Announced, Plus New Poster! It's a bit early to imagine that 'Star Wars: Episode 7' would have any real place at Comic-Con 2014 (we're already having night terrors about Hall H in 2015), but the Force will be strong with 'Star Wars Rebels' this summer. Find out what to expect from the full Comic-Con 2014 panel for Disney XD's new 'Star Wars' animated series, debuting later this year! In addition to the shiny new 'Star Wars Rebels' poster making the rounds in all its Drew Struzan-esque glory, we've learned that the official Comic-Con 2014 panel for the new series will take place on Thursday, July 24, in room 6BCF from 6:00 P.M. - 7:00 P.M. Who will be there, you ask? 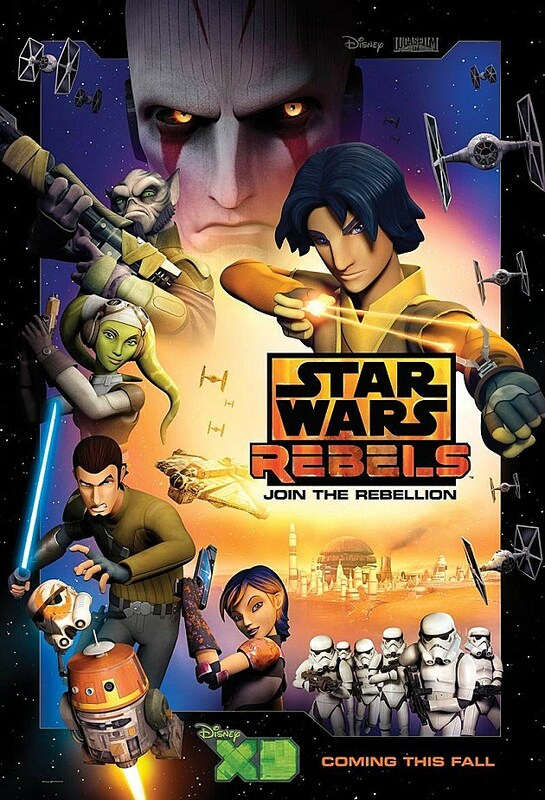 Why, only series stars Freddie Prinze Jr. (Kanan), Vanessa Marshall (Hera), Steve Blum (Zeb), Tiya Sircar (Sabine) and Taylor Gray (Ezra), along with executive producers Dave Filoni and Simon Kinberg! Hmm, no one else, we wonder? We'll be on hand for whatever sneak peeks the 'Star Wars Rebels' panel shows lucky attendees of Comic-Con 2014, but in the meantime, check out the gorgeous new poster below, replay the trailer above, and tell us what you want to see when Disney XD's newest entry into the 'Star Wars' saga blasts off this fall!